Does that taste like Shiner Brewery's Ruby Red Bird? If so, I would love to make that. It is delicious in the summer. Ruby Redbird is a lager, though & I can only make ales with my equipment for now. I am making it for the most part for my wife. If it tastes anything like the Ruby Redbird or the Sam Adams grapefruit IPA she will be well pleased. This is a clone of Ballast Point Grapefruit Sculpin. I brewed the all grain version recently, and just finished off the keg a couple of weeks ago. 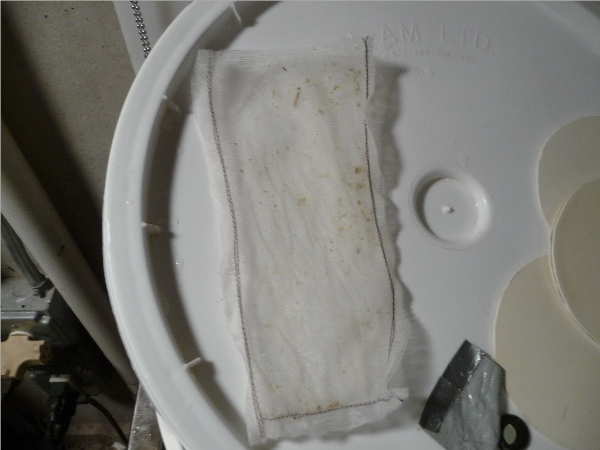 I soaked the peels in vodka for however many days it recommended then put them in my star San sanitized bag and tossed it in the keg. I also added a can of grapefruit purée to the secondary but I am not sure it was really necessary as the beer stayed pretty "grapefruity" all the way through the keg. Next time I will skip the purée. I hope it's that good. Had a few top-fermenter lagerbiers last night, actually. Quite good. It's nice to actually have a winter her where I can even consider doing that. I love a good lager as much as I love a good ale. Actually, I have never met a beer that I didn't like. Nylon hose will work very well outside of the boil kettle. 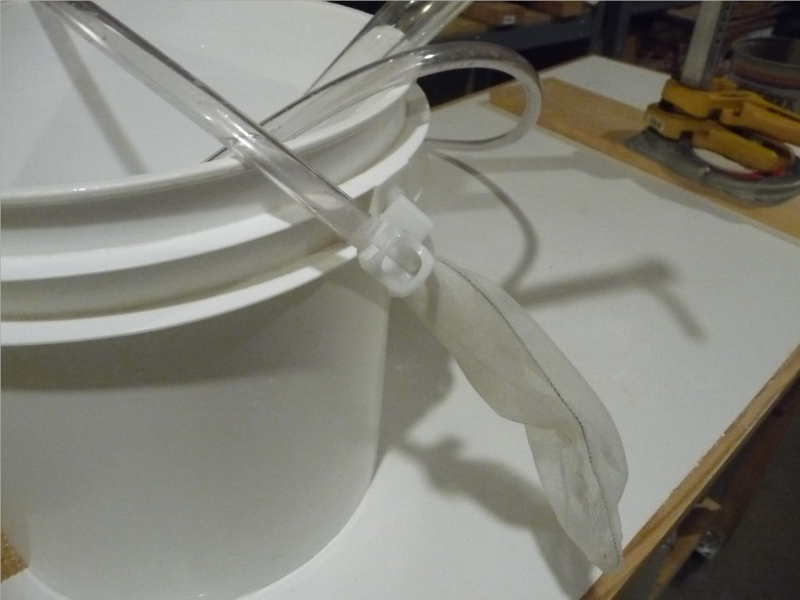 I use a fine mesh bag from the wine making section of the LHBS. I think it is voile. My wife cut and sewed some of these to use as a hop debris catcher at the end of the siphon tube in the bottling bucket. This is the most hop debris ever caught from an IPA dry hopped in the primary. Thanks again. I think I will just get a new pair and dip them in star San then add hops and peel in the secondary. I will see how that works this time.